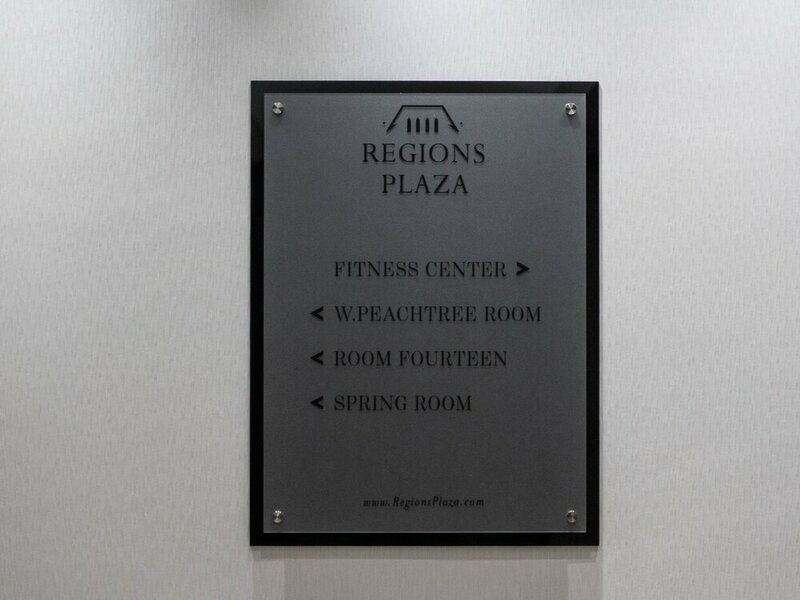 Regions Plaza is a Class AA boutique office environment in Midtown Atlanta. 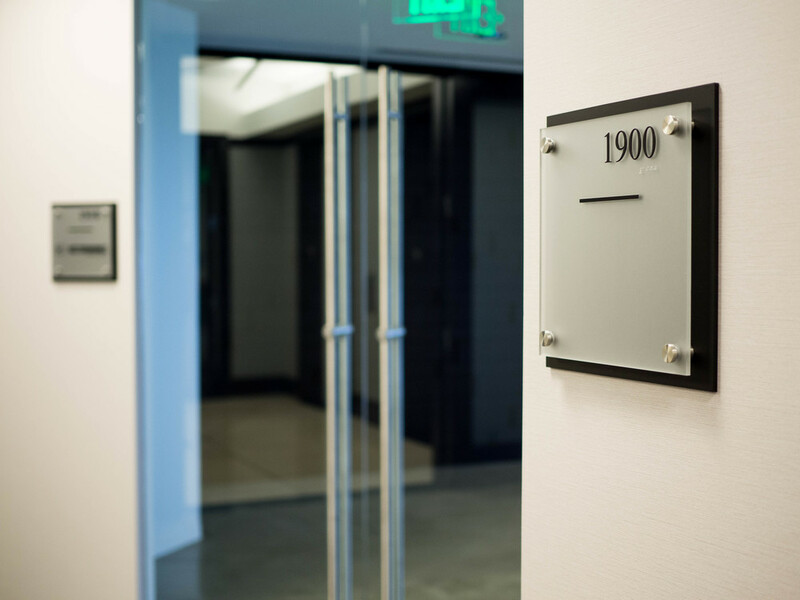 Owned by Crocker Partners, Square One Signs was contracted to fabricate and install an entire floor of new tenant, identification, ADA, and specialty signage to debut the building's new tenant amenity floor. 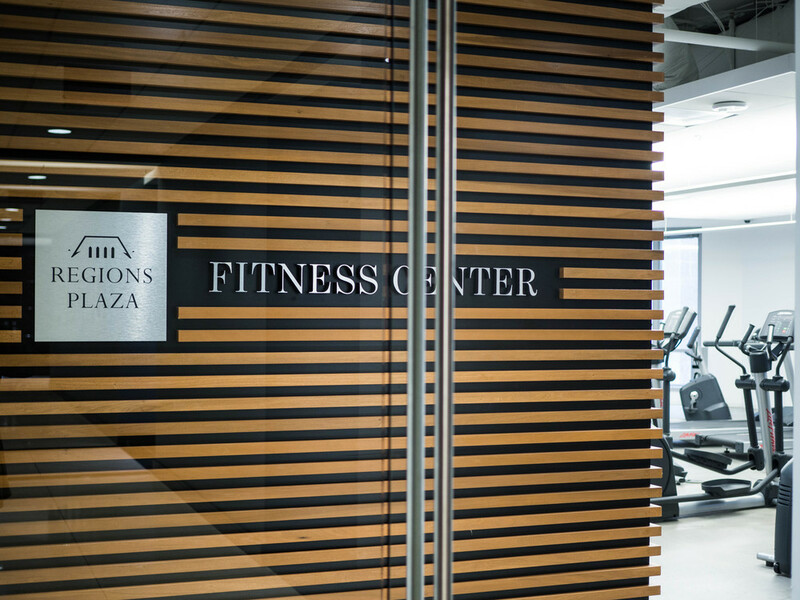 Since working on this project, Square One Signs has fabricated and coordinated several full floor signage overhauls and specialty signage projects. "Square One Signs took a real interest in my issue and spent time on the project taking pictures, etc., to help them better understand my request. I have used Square One Signs on many occasions at our commercial office properties with great results. 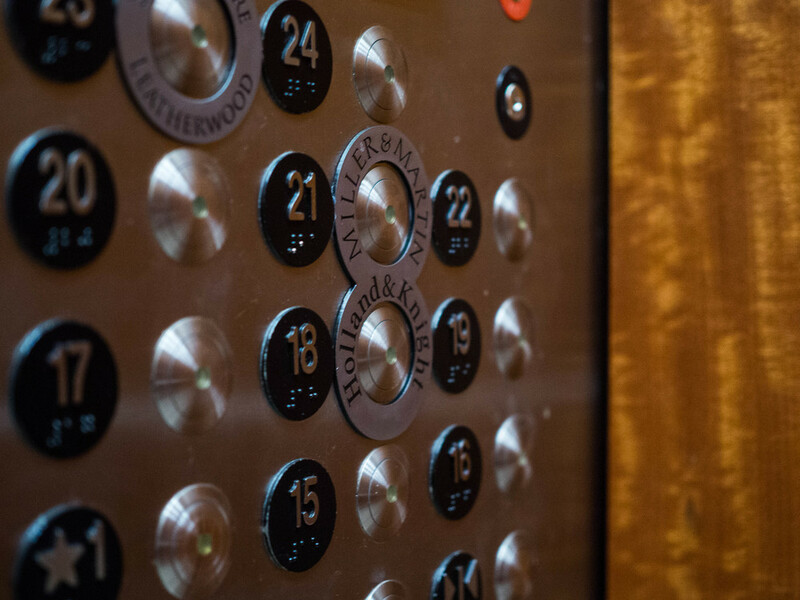 We are excited to have this caliber of company within our corporate family."